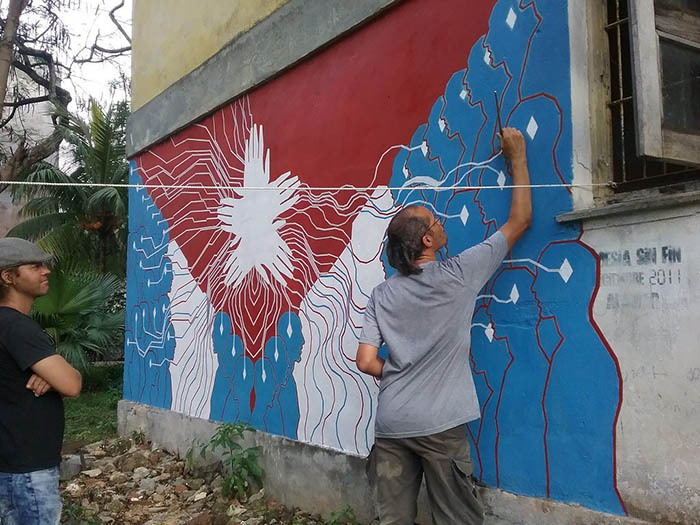 Index on Censorship, Pen International and Artists at Risk Connection of Pen America stand in solidarity with independent Cuban artists as the 13th Havana Biennial, which begins in the Cuban capital on 12 April and ends 12 May 2019. The month-long, state-sponsored biennial will showcase the work of international and Cuban artists who are officially-recognised by the Cuban Ministry of Culture. We, the undersigned organisations, call on the participating artists to support the campaign against the country’s Decree 349. Building upon existing laws and regulations that apply to artists officially recognised by the Cuban government, Decree 349 formalises and widens the scope of artistic censorship in Cuba and creates a new category of art inspectors with the power to unilaterally impose fines, cancel events, and subject artists to asset forfeiture as a penalty for presenting work without authorisation from the state. Independent artists who have peacefully protested the decree have faced persistent harassment, including repeated arbitrary detentions. Artist Luis Manuel Otero Alcantara was detained last week and again this week. Coco Fusco was denied entry into the country while a family member of artist Tania Bruguera has been harassed. Meanwhile, rappers “Maykel” Castillo Pérez and Lázaro Leonardo Rodríguez Betancourt “Pupito en Sy” have been held in Valle Grande prison since their arrests in September and November 2018, respectively. Arrested shortly after their participation in a public concert critical of Decree 349, the wider Cuban artistic community believes that the charges laid against them have been fabricated in retaliation for their peaceful protest. Campaigning artists have asked Biennial participants to express solidarity in any way they feel most comfortable with. Suggestions include inviting independent artists affected by Decree 349 to take part in presentations at the Havana Biennial, or supporting alternative events under the title of “Bienal sin 349”. Other actions showing solidarity for participants can include wearing a “No to Decree 349” t-shirts while in Cuba, or even visiting home studios to learn more about the efforts of independent artists. Independent artists only ask that participants find ways to include them in their experience of the Havana Biennial, as they continue to be marginalised and silenced despite government statements that the decree is part of an inclusive and supportive national cultural policy. The undersigned organisations call on the Cuban authorities to comply with its international obligations as a signatory to the International Covenant on Civil and Political Rights to ensure that independent artists be given the opportunity to peacefully protest during the Biennial without the fear of arrest or harm. We also call for the release of rappers Maykel and Pupito en Sy, and for the charges to be dropped, if as is suspected, they are being targeted for the peaceful exercise of their right to free expression. We are members of the artist community in Cuba. We are contacting you with the understanding that you have been invited to participate in the 2019 Havana Biennial. 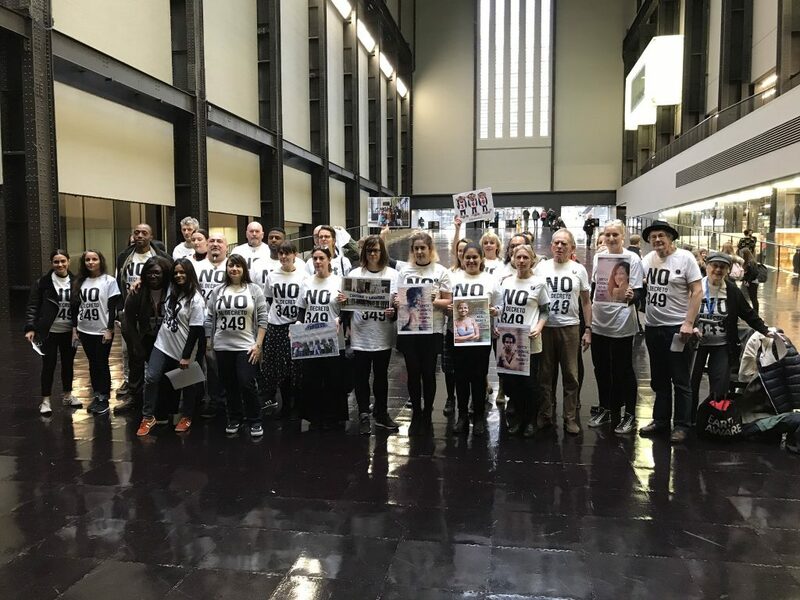 As you may know, over the past eight months, a movement has emerged among artists from all disciplines to protest a new law that recently came into effect, known as Decree 349. This law criminalises independent artistic activity and gives art inspectors the right to impose a fine or subject artists to asset forfeiture as a penalty for presenting work without authorisation from the state. The Cuban government created the law without consulting its arts community. We are attaching information about the decree for your review. Please feel free to ask us if you have any questions. We have been protesting this law through various tactics: some of us have met with government officials to express our opposition to the laws, while others have developed a campaign in social media to foment critical debate about the laws. 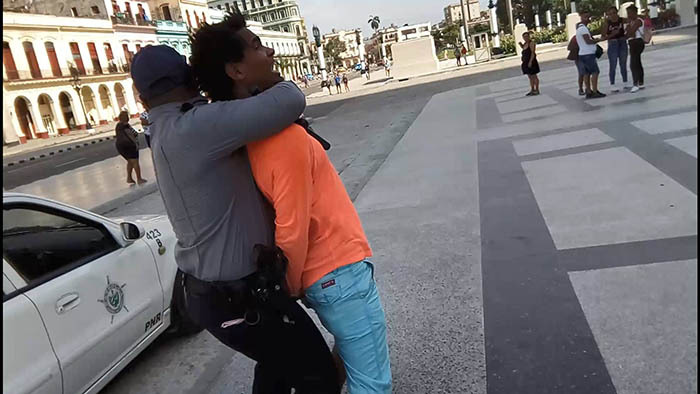 Many of us have engaged in direct action and have been detained by the Cuban police for attempting to stage a sit-in at the Ministry of Culture in the days leading up to the law going into effect last December. It goes without saying that the government has not been pleased about our protests and has gone to great lengths to characterise us in the Cuban media as counter-revolutionaries and troublemakers who are not worthy of recognition as artists. Nonetheless, it is the first time in almost 60 years that artists from all disciplines, ages and political views have united against a government decree. More than 300 Cuban artists have signed a letter of protest directed to the Ministry of Culture and numerous foreign arts professionals have expressed their solidarity with our cause. We have not succeeded in getting the government to rescind the law, but officials did announce last December that they would not put the law into effect fully until a set of regulations that are to be discussed with the arts community are finalised. We have not received any further information about those regulations as yet. We are writing to you to ask for your solidarity and support at a challenging time for Cuban artists. A small gesture of solidarity goes very far in Cuba, particularly in the arts. We are sharing with you a list of artists who are vulnerable due to their protest of Decree 349. We ask you to consider expressing your solidarity in the way you feel most comfortable. We have envisioned several scenarios: You can invite one of the artists affected by the Decree 349 to work with you during your presentation at the Havana Biennial, or you can share part of your exhibition space or stage if you are participating in a public event. 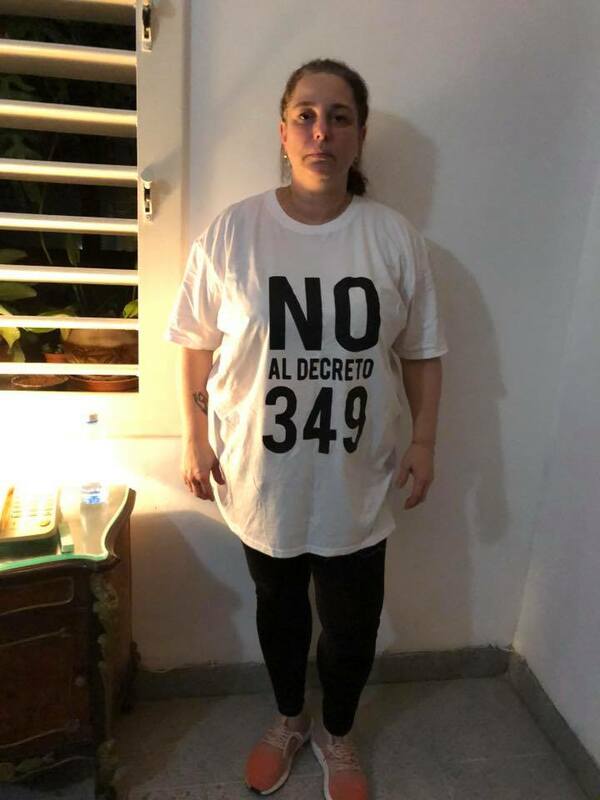 You can wear “No to Decree 349” t-shirts while in Cuba to show support for our cause. You can visit us at our home studios to learn more about our efforts. All that we ask is that you find ways to include the artists who are going to be marginalised due to the decree in your experience of the biennial. As members of a global artistic community, we are all interconnected. Cuban artists have shown their support of other artists in the world when ethically dubious things happen to them. Now we ask for artists to be in solidarity with us, to make Cuba a place in which all cultural expression can thrive.